The Alaska Marine Highway System had a history of using wooden buildings, which related to the traditional style of ferry terminals. 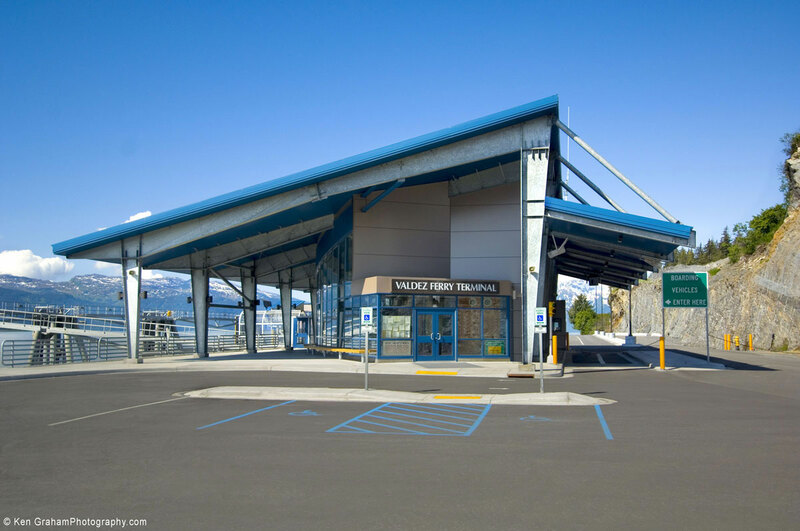 Yet, in keeping with the System’s move to high technology in equipment, facilities and computerized reservation systems, Alucobond Material was chosen for the cladding of its new Valdez ferry terminal building, completed in late 2004. Smaller dockside structures were also clad with the material. Approximately 5,000 sq. ft. of 4mm Alucobond Material in Champagne Metallic was fabricated by KPS of North Vancouver, Canada and attached by the KPS rain screen dry joint “A” System. North Pacific Erectors of Douglas, Alaska, was the material installer. Designed by Jensen Yorba Lott, Inc. of Juneau, Alaska, the terminal building suggests the future of modern marine travel, while keeping in touch with the heritage of the Alaska Marine Highway System and its environment. Durability was also a key factor in material selection for the project given the harsh Alaskan climate — high winds, heavy snow and rain. Tony Yorba of the architectural firm reports that the project was selected by Alaskan architects as “Most Alaskan” project for 2005, at the AIA Alaska State Convention. The project also was given a 2005 Merit Award in a competition judged by jurors from AIA Minnesota. Jensen Yorba Lott, Inc. is a multidisciplinary design group comprised of professional architects, interior designers and landscape architects. 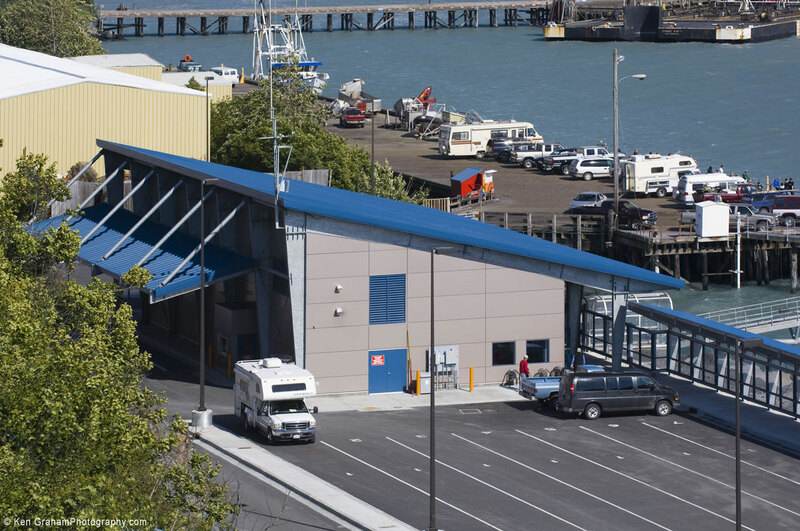 General contractor for the overall terminal project was Western Marine Construction of Seattle, while the terminal building was subcontracted to Bering Pacific Construction of Anchorage. Valdez is the United States’ farthest north ice-free port and the southern terminus of the trans-Alaska oil pipeline. Operating year-round since 1963, the Alaska Marine Highway System provides passenger and vehicle service to 30 communities in Alaska, plus Bellingham, Washington, and Prince Rupert, British Columbia.